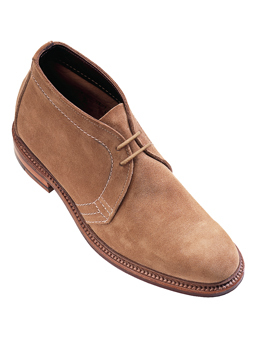 Some of the most popular footwear today are made from suede, nubuck, and other naked finished leathers. While they are loved for their softness and versatility, they do take a little more careful attention and care. Because these types of leather are very porous and do not possess the more solid repellent surface finish of a typical leather, they are more prone to stains and discolorations, many of which can be permanent. In the real estate market, they say that the three most important factors are LOCATION, LOCATION, and LOCATION. Similarly, when discussing suede leathers, the three biggies are PROTECTANT, PROTECTANT and PROTECTANT!!!! A good quality water and stain protectant should be used before the first wear and should be reapplied on a regular basis. The protectant will help to keep dirt and grime from adhering very well, and will help to repel liquids and keep them from absorbing into the leather as easily. We will typically recommend that the protectant be reapplied every 10- 12 wearings, and after any time that the suede is cleaned or brushed out. If the shoe or boot is a seasonal item, we recommend reapplying protectant before they are put away for the season and then again when they are taken out of storage next season. The protectant is not an expensive product, so using it regularly is an inexpensive form of insurance. Cleaning suede is a little more involved. A good basic suede cleaning kit should have a nylon suede brush and a dry chemical cleaning bar (looks and works kind of like an eraser). Using these two items to dry clean suede is the best way to start. In most cases, dry cleaning with these items will be sufficient, and this method can be used to spot clean area of the article. If you need a more deeper cleaning, there are several products made to perform a deeper cleaning on your suede footwear. 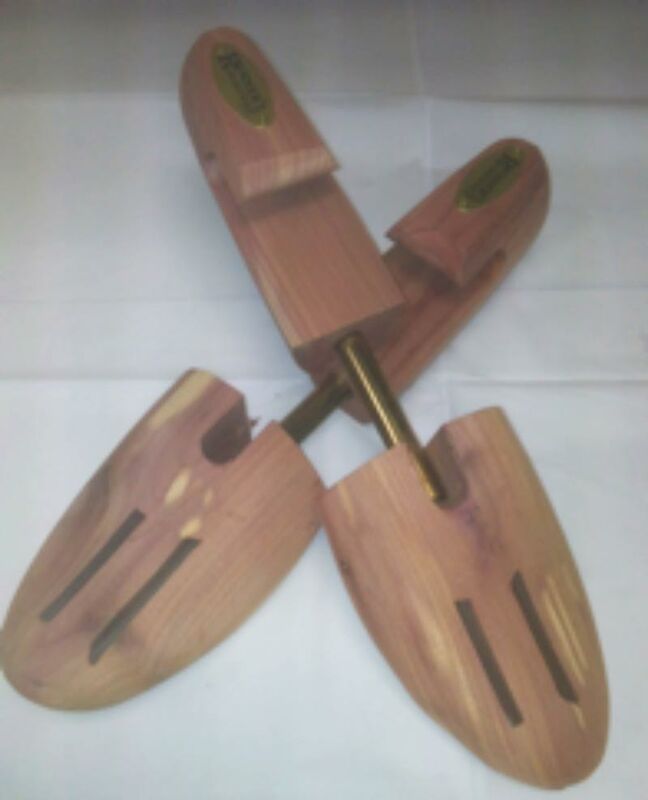 Take your shoe and visit you local shoe repair shop, and they should be able to recommend the best product. Keep in mind that when using any liquid or spray cleaners on suede, you will have to clean the entire surface of both shoes. If you attempt to spot clean using a wet method, it will likely leave a noticeable spot on the suede. If you do not feel comfortable attempting a deeper cleaning yourself, most repair shops will offer suede cleaning services, and will likely be able to give you an estimate of how it will come out beforehand. Many times people will see the normal abrasion that occurs on suede is mistaken for a need for a cleaning. This is not necessarily correct. Much of the wear that occurs on suede shoes, especially at the toes and heels is just normal wear and may be relatively unchangeable and permanent. There are many products out there that will refresh and renew the color on the suede, improving the overall appearance. That being said, on a sueded leather item that receives average wear, there is no way to keep them looking brand new forever. As humans, we gather scars, blemishes and the effects of age on our bodies, and these types of suede items will do the same.